Neymar has sent Manchester United an early threat ahead of next month’s Champions League battle by reminding them of PSG’s qualities. The two sides go head to head in an eagerly-anticipated battle in three weeks’ time, with Thomas Tuchel’s side arriving at Old Trafford for the first leg on February 12. The Ligue 1 giants crashed out of the competition against Real Madrid at this stage last season, and were also undone by Barcelona in incredible circumstances the year before. However, PSG will go into this fixture as heavy favourites – that being inspite of Manchester United’s noticeable improvement since Ole Gunnar Solskjaer took the reins. Neymar’s confidence comes on the back of an incredible run of form in Ligue 1. With two games in hand, PSG are 13 points clear at the top of their domestic league, and will therefore have the luxury of being able to rest players for the Champions League if needed. And Brazilian superstar Neymar has underlined PSG’s confidence of beating Solskjaer’s resurgent side by firing out an ominous warning. “We are winning everything,” Neymar said. “The Champions League is every footballer’s dream. “We realise it is difficult, but our team can do it. “We have high-quality players, we can aim high. We are on the right path. “We have a great match coming up [against Manchester United]. The match will be United’s first in the Champions League since the sacking of Jose Mourinho, with a report on Monday suggesting the Norwegian could become United’s next boss if he records a famous aggregate win against the Ligue 1. 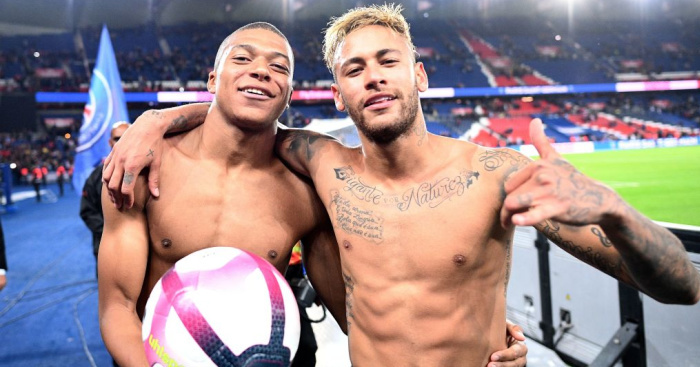 The post Neymar unfazed at Man Utd improvement as he fires PSG warning appeared first on teamtalk.com.